AN AFFAIR TO REMEMBER is a slick soap opera from 1957, with Cary Grant and Deborah Kerr. For many that’s enough reason to watch, since the elegant playing of these classy actors works to cover the slight script and the hokey shade to the storyline. 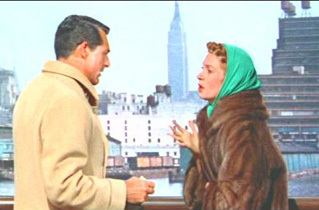 Cary and Deb meet on a trans-Atlantic liner. Despite Cary being married (unhappily) and Deb being promised to another (enter Resignation ) they are thoroughly smitten. Tragedy intervenes. 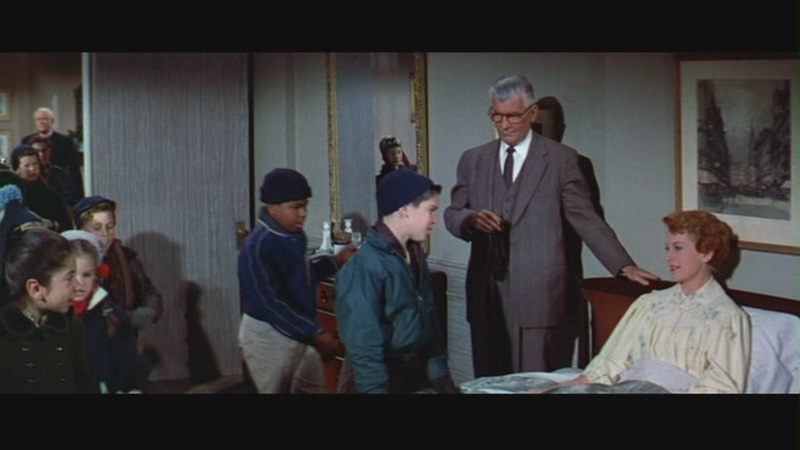 Leo McCarey’s stilted, old-fashioned direction combats the grace of the players. The low point is a scene where a bunch of “cute” kids sing a song to Kerr. It seems almost ten minutes long—and it’s a bad song: the kind of set-up that requires real professionalism to get through unscathed. The 115-minute story co-stars Richard Denning and Cathleen Nesbitt, came in at #14 that year, grossing $11,000,000. It received Oscar nominations for Cinematography, Score, Song (please…), and Costume Design. Enter the charming tots. Where’s that porthole? A remake of the directors 1939 hit Love Affair, it was done again in 1994 with that title, to less success . This has a tremendous reputation of being a romantic classic and has legions of (mostly female) fans. It’s okay, but methinks the ardor stems from more mystique than magic. I nitpick. If you like Grant and Kerr you’ll want to watch this, whether I like that dumb song or not. And you should.